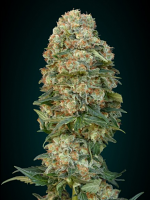 Lemon Kush Feminized Marijuana Seeds by Female Seeds: A Chitral kush from the Hindu Kush mountain range in Afghanistan and Pakistan. She is mostly Indica with a little stretch towards the end. She produces very white, hard and highly resinous nuggets. The Lemon Kush has three phenos. Pheno #1 is long, stretched and slow in fully maturing. Phenotype #2 is short, compact and is fast flowering. A truly Indica-dominant phenotype. Pheno #3 is long, stretched and also fast flowering. A typical Sativa-dominant phenotype. 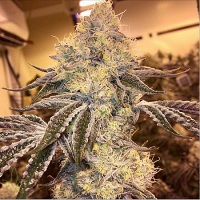 Easy to grow for beginners, it was inbred over several generation ago with some automatic genetics to shorten the flowering time and make it possible to grow the strain in oceanic climate zones. Very suitable for Outdoors in temperate or Mediterranean climates (where citrus grows), where recent reports showed an amazing 1 kg of excellent quality buds per plant! Harvest at the end of September. 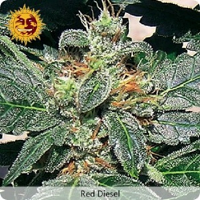 Despite her Indica heritage, she has a Sativa head high with a relaxing body effect. Effect-wise she is absolutely not a creeper nor too racy. The favorite strain for medical users in the Netherlands. 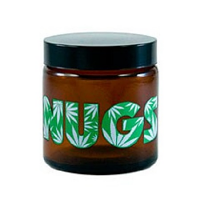 It has become a firm favorite, partly due to its high CBD contents that tempers the THC stone effect. From that same medical community we have received plenty of feedback. They say her therapeutic talents work effectively to combat ailments such as chronic pain, migraines, muscle spasms, muscle tension and inflammation.